Does the idea of stopping diets sound liberating but at the same time panic you about having no rules? Do you believe you will lose all control around food if you aren’t following a diet? 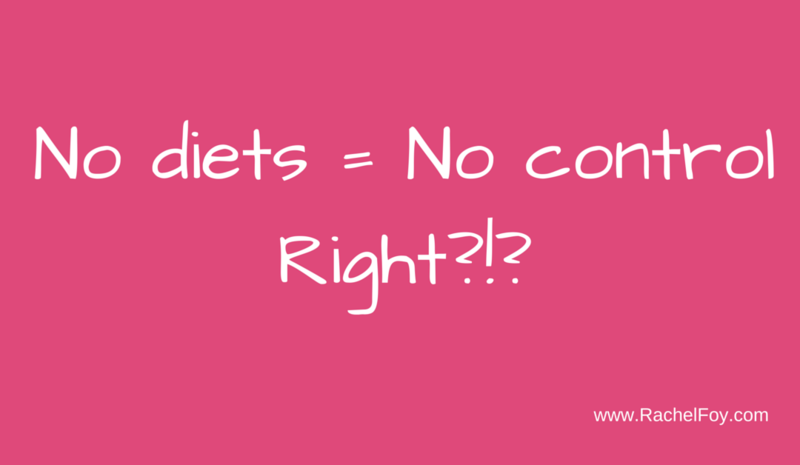 Do you think it’s even possible to have control without dieting?! So many women believe that if they stop dieting they will automatically lose all control around food and eating and this will inevitably lead to weight gain. So in the latest episode from Ditch The Diet TV, let’s set the record straight and discuss the idea that stopping dieting naturally means you will lose all control around food….because perhaps it’s not quite as you may think. Let me know in the comments what you thought. Have you been to scared of losing control to stop dieting? What’s you biggest fear of jumping off the the diet train? ?